Astrid Chan Chi Ching has a very busy work schedule. In 1994, she returned from Toronto, Canada to participate in the Miss Hong Kong pageant. That year, she hosted over three hundred programs for TVB. Due to her fluency in Cantonese, Mandarin, and English, Astrid is often in demand as a Master of Ceremonies (MC), allowing her to earn side income on a daily basis. There are only twenty-four hours in a day. If a woman worked a nine to five job, she still has to take care of her family after returning home, which is a demanding schedule. An artist’s schedule is unstable, with day and night hours often reversed. Astrid is married and also a good mother of a 6-year-old daughter. How is it possible for Astrid to allocate her time? Perhaps many working mothers would love to learn from Astrid! Tai Po is located far away [from the heart of Hong Kong]. Isn’t the commute tiring? “I quite enjoy it.” Astrid said that if you enjoy the things you do in life, you will have more motivation to do it and not consider it to be a pain. Astrid believes in pursuing this perspective. As a young girl, Astrid realized the importance of not wasting a moment of her time. When Astrid was four or five years old, she was on the verge of death. “At the time, I possessed a lingering flu that did not clear. My mother took me to a variety of doctors, who prescribed many different drug medications. My white blood cell count dropped significantly and symptoms of leukemia appeared. One doctor said, ‘Mrs. Chan, I have already tried my best.’” Astrid’s mother prayed and said, ‘If Astrid gains back her health, I am willing to shorten my life span by twenty years.’” Perhaps a mother’s love for her daughter moved Heaven. Mrs. Chan frequently prepared pig liver soup for Astrid to drink and she miraculously recovered. After growing up, Astrid had a strong love for learning. There are many lawyers in her family. Astrid’s husband and younger brother are both lawyers. Astrid also took a law course at London University because she felt that she did not understand the legal jargon spoken by her husband and brother. She attended the classes four nights during the week. Afterwards, Astrid felt that the classes were taking away from her time with her daughter, so she discontinued the class. Astrid explained her yearning to learn, “Since I am not smart enough, I have to work harder.” When Astrid was pregnant, she took some classes on game therapy for children. This would help her in understanding her daughter’s personality when growing up. She even has a fitness trainer’s certification, in case her career in the entertainment industry is not sustainable in the long-term. Astrid often makes advance preparations for a “rainy day” in life. Astrid’s father owned an electronic watch business. At one point, the business grew into a very profitable operation. But he also filed for bankruptcy two to three times as well. Despite the tough financial times, Astrid’s father continued to have affairs with other women. Her mother had to assemble jewelry necklaces to make ends meet. 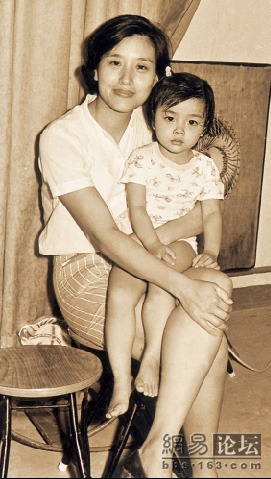 Since Astrid’s grandfather was the Mayor of Keelung City in Taiwan, the entire Chan family moved there. While in Taiwan, Astrid learned to speak fluent Mandarin, which became a valuable business skill later in her life. Afterwards, Mrs. Chan moved to Singapore to work and met her second husband there. It took many years of pain and suffering before Mrs. Chan freed herself. When Astrid was sixteen years old, Astrid’s mother attempted suicide. Unable to let go of the despair in the relationship, Mrs. Chan swallowed some sleeping pills. Astrid, her younger brother, and younger sister called the ambulance and took her to the hospital. “At that moment, I was very upset with my mother. Why did she have to give up on herself? She gave my father so many chances, but he continued to give those chances to other women.” At the hospital, the nurses said harshly, “It must have been you children tormenting your mother towards suicide.” The truth remained unspoken. Despite witnessing her mother’s suffering in her marriage, this did not make Astrid afraid of marriage. Since Astrid was born under the Cancer sign, she has a strong love for family. Astrid learned a valuable lesson from her mother: when the relationship is over, there is no need to hang on and force matters. Currently, Mrs. Chan still works at her second husband’s law firm, processing documents. Mrs. Chan often tells her children, “I did not give you many things in life.” Mrs. Chan continues to be self-reliant today and told her children not to worry about herself. She bought several insurance policies and designated her children as beneficiaries. Witnessing recent financial recessions, Astrid understood that the economy could deteriorate at any time. “Fortunately, I still have work offers. This relieves my husband’s financial pressure.” Since Astrid spent her teenage years in Toronto, her views are very independent. She maintains separate finances from her husband, Cheung Kam Wing. She shares the household bills, including the maids’ salaries and their daughter’s school tuition fees. With her straightforward character, Astrid does not like to play guessing games. If she likes someone, she will be clear about it. “I support a couple to live together. When a couple initially date, they will be very polite with each other. But after living together, then their true selves and weaknesses will emerge.” Due to uterus complications, it is extremely difficult for Astrid to get pregnant. After co-habiting for over a year, Astrid suggested, “Let’s live together for another three months. If I get pregnant, then we can get married.” Heaven gave Astrid with a daughter. 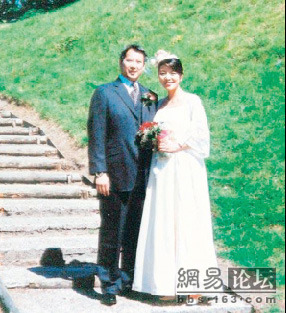 While pregnant, Astrid and Mr. Cheung got married in the United Kingdom. When Astrid was young, her mother trusted and allowed her to go study abroad. 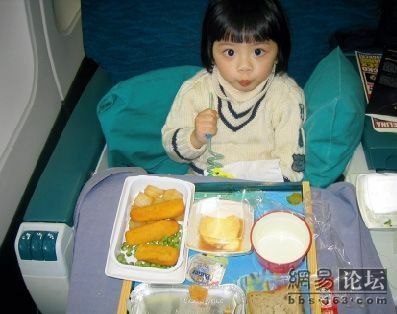 Astrid’s mother said, “Astrid, you are going to study by yourself at such a young age. But I trust you, you are my daughter. You will turn out good.” Due to Astrid’s mother’s trust, this was the belief Astrid lived by for the rest of her life. “At that time, many of my friends took drugs. Even if they offered me drugs, I resisted the temptation. My mother trusted me so much, how can I hurt her?” Astrid’s strong will and principles stemmed from her mother’s trust. Currently, Astrid will talk with her mother on the phone for half an hour every day. If her mother is having emotional problems and needs her help, Astrid will fly to Canada and console her. Astrid will also give her some of her personal savings to increase her sense of security. In Astrid’s mind, she is the best mother in the world. Jayne: Astrid Chan has always come across as an eloquent, intelligent, and principled woman. After reading this powerful interview, I admire her even more. Astrid had an extremely emotionally tormenting childhood and even witnessed her mother’s attempted suicide (reading about the incident moved me to tears), but she became a stronger and wiser person. Whew, this interview took me 3 hours to translate. But well worth the effort! I hope that you have gained a different perspective in life by reading Astrid’s inspiring story! Thank you for taking the time to translate this news, Jayne! I’ve always knew she’s a strong and independent woman! Definitely a strong woman to look up to! I’m glad to know that she was able to learn so much from her parents’ relationship. Cannot wait to see how her daughter grows up to be like! Thanks Jayne for the translation. I never really liked Astrid until a recent interview with her and Tavia in MOL. I always knew that she has good MC skills but after reading this article, I become so impress with her intelligence and realistic view. Her husband is right, let’s not waste such talent by staying at home and gossiping like a lot of “sei lai” do. Props to Astrid. Thank you Jayne, wow Astrid is so independent and wise. Just curious are in the journalism profession? How do you come across the news and do the translation? Julie, no I am not a journalist. The Chinese article was originally published in Ming Pao Weekly, as mentioned in the “Source” section. I translated the articles manually on this site, sometimes with Google translator help. Jayne, thank you very much for taking your own valuable time in translating this news article (and all the other news articles). You have allowed those of us who cannot read Chinese to connect to the Asian entertainment world. Much appreciated! MY, glad you enjoyed this Astrid article. I was quite moved by Astrid’s past and yet she did not become a victim of her unhappy childhood. Her mother’s love compensated for the absence of her father in her life. I must commend you on your excellent translation of this interview. You have a talent and strong technical knowledge of both languages. It shows in how your translated words come across as being very fluid and clear. I enjoyed Astrid Chan’s interview very much. She is a very intelligent and well-spoken woman and her story of her mother’s suicide attempt made me cry.